Just recently news.Bitcoin.com reported on the alleged hard fork project, Bitcoin Gold, that’s supposedly scheduled to take place on October 25. We also investigated the project further, while asking the lead developer some questions concerning this proposed fork. Now with only fifteen days left until the team tries to fork the bitcoin protocol, individuals continue to find sketchy aspects about the project making bitcoin proponents everywhere skeptical. The topic of the Bitcoin Gold (BTG) fork is once again finding its way throughout the cryptocurrency community. Over the past week, a lot of people have been investigating this proposed hard fork and finding many flaws associated with the project. It’s safe to say people are skeptical as there are few written articles highlighting issues with the BTG plan and many unanswered questions. Further, while visiting the team’s Slack channel, there are quite a few people there at times asking hard questions and pretty much telling the BTG team that the project is “shady.” Alongside this, people are astonished that there is literally no infrastructure or exchange listings showing support for this fork that’s coming soon. 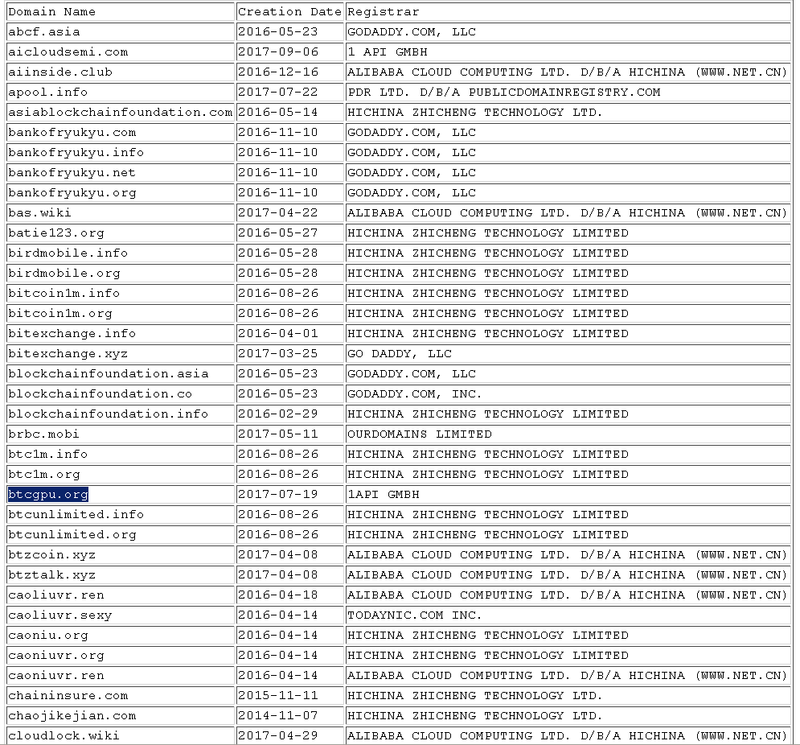 This week one individual did a reverse Whois background search on the BTG website and found the owner of the site owns a lot of cryptocurrency domains. The person also discovered the project’s new consensus algorithm is unfinished and replay attack protection has not yet been added. Work has also been light as there hasn’t been much development with the code for a project that’s just two weeks away. Lastly, the project has a premine implemented into the code which means the developers will have a significant amount of BTG if this project actually forks. There have been many posts this week investigating the Bitcoin Gold project. Then on October 10, news.Bitcoin.com was sent an official response to all the accusations that currently surround the BTG project. Bitcoin Gold premine of 16000 blocks merged into the code on September 11, 2017. We will not completely rule out the possibility of a modest pre-mine to provide a basic level of funding for the project, but if we do so, it will be made transparent to the world and a detailed financial plan describing how those funds would be used will be provided. Another problematic situation for the upcoming Bitcoin Gold fork story is a website that says it allows users to “claim” BTG before the fork takes place. The website “claimBTCGPU,” tells people if they enter their BTC seed into the “system” users can pre-claim their BTG; but they can’t spend it just yet. The site gives an individual step-by-step instructions on how to find and enter a bitcoin wallet’s seed phrase. The platform claims to be a bitcoin gold wallet and says they started their business to create the possibility of making BTG withdrawals a priority. Beware of unknown claiming websites that ask for private keys. The “How to Claim” section is well written with pictures that describe how people can find their existing BTC seeds, enter it into their system, and then users are redirected to a wallet with a credited BTG balance before the fork. There are already people online calling this website a “scam” and even a YouTube video that declares the BTG claiming site is fraudulent. Any website that asks users to enter their private seed online before the coin exists and that just appears out of nowhere could likely lead to people losing funds. Because of this risk, news.Bitcoin.com will not provide the link to the BTG claiming website. What do you think about the bitcoin gold project so far? Do you think it’s legitimate or do you think the projects discrepancies make it shady? Let us know what you think in the comments below. Images via Shutterstock, The BTG Slack channel, The BTG claim site, Github, and Medium.